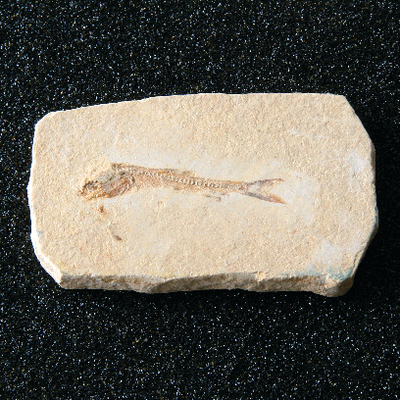 Well preserved, bony fossil fish in matrix. Average length 11/2" on 2 x 3" matrix. Brazil.